This conference on the impact of science and technology on global agriculture and farm systems is the fourth in a series on ‘Agriculture, food and land use: the international policy challenges’ which we have run over three years in association with the University of Exeter. As the world’s food system becomes increasingly stressed by the growing demand for greater quantities and varieties of food, the role of science and technology is becoming more important. Scientific advancements can hold the key to higher yields, greater resilience and more efficient land use. Such advances will be critical in feeding the world’s population but key questions are raised in relation to how scientific advances can be best implemented which this conference addressed. A convergence of issues including climate change, population growth, energy supply and water scarcity are putting pressures on global food systems on a scale previously unencountered. Agricultural science and technology needs to be targeted towards providing solutions to these issues threatening global food security. Research should include the development of new crops varieties that are resistant to the effects of climate change, disease, and contributing higher yields, but also recognising there is potential for utilising species of plant not previously developed as food crops. There should be focus on existing science and technology, and developing their translative capacity. This means improving communication links with the farmers who implement these technologies and making them more accessible to less developed regions. New and emerging technologies, such as artificial photosynthesis are in their embryonic stages and may provide solutions for food and fuel in the future. It is essential that emerging technologies are permitted the right environment in which to develop in an international and regulatory context. 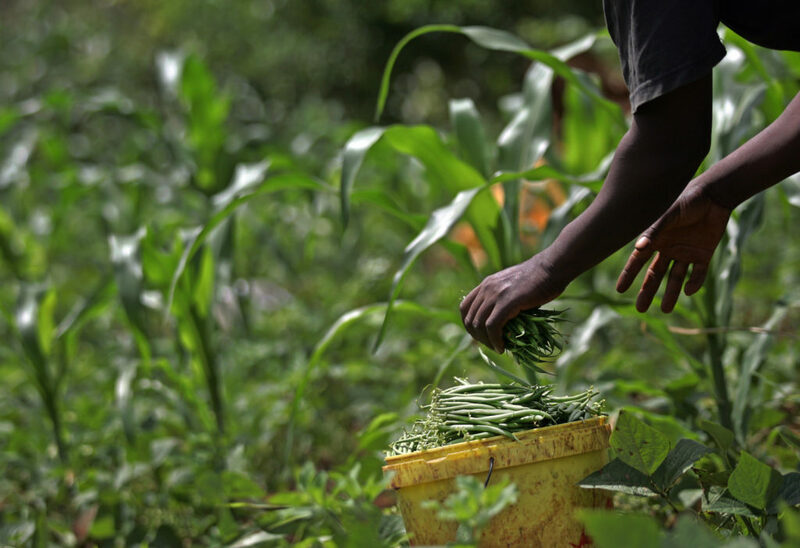 There has been renewed interest in integrated farming systems, including mixed farms, in terms of improving the productivity of farming in a holistic and environmentally sustainable manner. Farmers and scientists need to communicate via two-way feedback mechanisms, so that science can be directed to the needs of the producer and the market. Improving communication and links along the agricultural supply chain can help foster sustainable food production. Policymakers need to understand the nature and processes of scientific innovation and to create an environment in which it can flourish. Policy timescales are generally shorter than scientific developments, so policy needs to demonstrate more continuity for fostering innovation. Funding for scientific research and development needs long-term commitments which are not affected by rapid policy changes. There is also a need for more international cooperation. There is a need for a better balance of regulation in product development. Governments should be enabling innovation by removing impediments, including excessive or restrictive regulation. Public and private research sectors need to work together to improve existing agricultural systems and develop new solutions. Consumers’ trust in agricultural science needs to be built through the appropriate dissemination of evidence-based knowledge and education to overcome issues of mistrust. Governments need to contribute a percentage of GDP to long-term agricultural research, which should contribute to building agricultural research systems with good infrastructure and human resources.